Vegan Vitamin D OR a 100% Guilt-Free Animal Source! When vitamin d was first discovered, it was THOUGHT to be a vitamin, but it was later found to actually be a prohormone. But the name 'vitamin d' stuck and we still call it a vitamin 100 years later. When you are looking at getting vitamin d supplements, it is important to know this distinction of Vitamin D as a hormone. 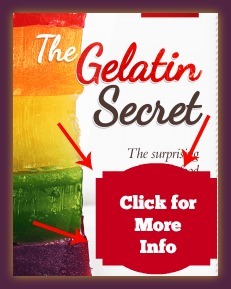 This is because there is a difference between 'Bioidentical' and non- bioidentical hormones. Unfortunately, Vegan Vitamin D is NOT bio-identical. The studies done comparing vegan vitamin d to animal sourced vitamin d are summarized in a paper called The Case Against Ergocalciferol. This paper discusses more than you ever wanted to know about the difference between Vitamin D2 and Vitamin D3, and I've already discussed the major differences on the Vitamin D3 page. So, in nature OUR bodies make vitamin d3 from the sun when it is exposed to sunlight and the only other good source of vitamin d in all of nature comes from fatty fish, which also contain vitamin d3. We are SUPPOSED to get Vitamin D3!! However, there finally is a vegan vitamin d supplement that contains D3 that is made from algae. You can see it here: The Food Movement's First of it's kind Vegan D3 From Lichen. And mushrooms, which make D2, must be sun dried in order to make vitamin d- and they only make Vitamin D2. So, see why Mushrooms are Not a Good Source of Vitamin D.
So, by taking Vegan Vitamin D in the form of D2 from synthetic or mushroom sources, you may not be getting the benefits from vitamin d that you are taking vitamin d for in the first place! While you can (potentially) argue about getting enough Vitamin B12 if you consistently eat Chlorella, unless you eat close to a pound of sun-dried mushrooms that contain vegan vitamin d2 every day, then you are NOT meeting the surprisingly high Vitamin D Requirements from your vegan diet. The only other way that you could POSSIBLY get enough vitamin d is through the sun. But most people are afraid of the sun from years of being told that you will get skin cancer, so if you cover up and/or wear sunscreen when you go out- you WILL be vitamin d deficient!! Even if you "Think" that you get 'Plenty' of sun, you probably aren't. If you live South of 37 degrees latitude (approximately San Francisco and Boston) and you are able to expose all of your skin to midday sun to the point of just BEFORE you burn several times a week year-round, then you can probably get enough vitamin d to meet your Vitamin D Requirements- if you don't shower off the vitamin d on your skin every day!! But if you are unable to expose your skin that much OR you live above 37 degrees latitude where you can't get any Vitamin D In Winter (You get ZERO Vitamin D from October to March from the sun above 37 degrees! ), then you will, almost with 100% certainty, be vitamin D deficient. And other Symptoms of Vitamin D Deficiency that are likely to be at least ONE reason that you are eating a vegan diet. And while a vegan diet certainly provides some protection from these diseases, so does vitamin d- and why would you not want to take advantage of all the ways that you can use to reduce disease? Nearly EVERYONE, not JUST vegans, is vitamin d deficient- and so I recommend that EVERYONE get their vitamin d levels checked. It's likely that you will be SHOCKED at how incredibly vitamin D deficient you are- and then you will believe me when I tell you that you will almost positively need to take extreme actions to get your Vitamin D Levels up to normal. And even though MegaFood Vitamins says that their vitamin D3 is from yeast, it actually starts out as lanolin. And you can see the conversation that I had with the LifeGive company on the Allergic to Cholecalciferol page. They claim that their shitake mushroom based supplement is Vitamin D3, but they refuse to show me information supporting this claim. So, at this time, we are lucky enough to have a Vegan D3 From Lichen to fill the needs of vegans who want the benefits of Vitamin D3. While it's not 'vegan', the most efficient way to make vitamin d is by exposing your skin to sunlight on a regular basis. However, most people simply don't get enough sun to make sufficient quantities of vitamin d from the sun. In fact, one study done showed that a group of young women living in Hawaii who got approx 12 hours of sunlight each week were STILL vitamin d deficient. So, a good rule of thumb is that if you are not tanned and bronzed, or your skin is naturally so dark that you do not notice getting a tan, then you are probably vitamin d deficient. 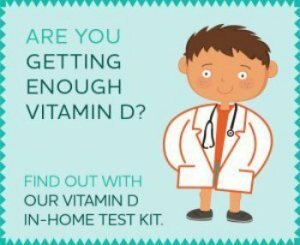 In any case, you should just Get a Vitamin D Test and make sure your vitamin D source is meeting your needs. So, vegans, I hope that you realize that Vegan D3 From Lichen is the ONLY vegan vitamin d3 source, and that you should be taking vitamin d3. And even though you are vegans, that getting sunlight is 'not' a vegan source of vitamin d! Although, I suspect most vegans don't mind a non-vegan source if it comes from their own body. where can I find a VEGAN Vitamin D2?